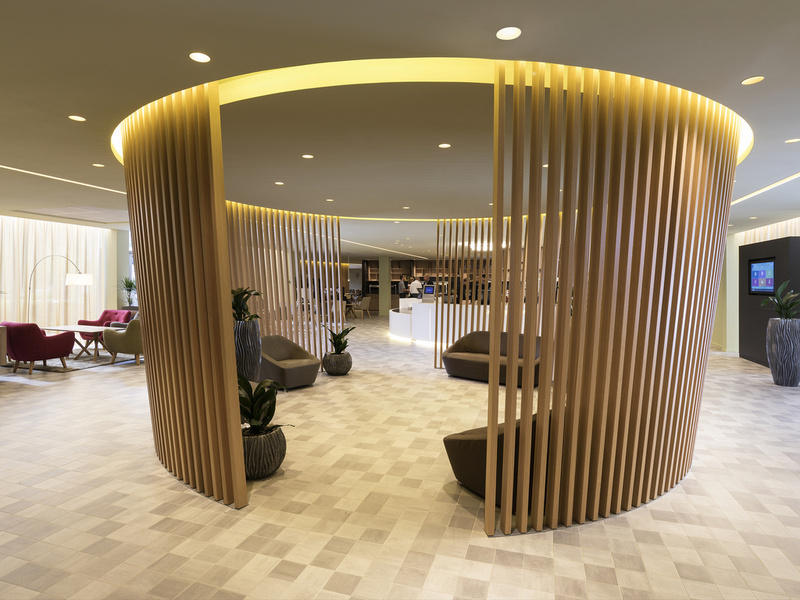 Located in the heart of the most important business area of Europe and the future Grand Paris Express, the recently renovated 4-star Novotel Paris Nord Expo will welcome you during your professional and personal stays. Come discover new flavors at our gourmet bar restaurant for lunch or dinner. Every week, the Chef creates using fresh produce. Enjoy our many services, incl. outdoor pool and free WiFi. With a contemporary and completely modular design, Novotel's spacious rooms are real living areas. All rooms are equipped with a minibar and tea & coffee making facilities. The rooms at the Hotel Novotel Aulnay-sous-Bois measure 269 sq. ft. (25 m²) and have a bed (55"/140 cm wide), bathtub or shower, separate toilet and tea and coffee making facilities. As a business traveller and frequent guest at Accor hotels I sadly have to say that my recent stay at the Paris Nord Expo hotel was below par. The building is currently being refurbished, which was not clearly indicated while booking the rooms. Hallways and guest rooms had the intensive smell of fresh paint, the heater did not work and carpets in the corridors were stained with paint. A power outage in the morning and having breakfast in dim emergency lighting only added to the disappointment. Staff were pleasant and friendly. Everything was clean. Breakfast was nice but not the range of choice I would have expected. Towels were very thin. My room was spotless and the shower was large and powerful....the best in a hotel I have experienced. The staff were also very friendly and helpful. Ok, but points of improvement. I stayed in this hotel for 1 week after much research on a suitable accommodation so as to attend the Maison Et Object exhibition. The decision to stay in this hotel was the RIGHT one! It was clean and room is big. It is a newly renovated room. Overall, it was a good stay. Although the breakfast is the same everyday, they have very good bread that is baked freshly every morning! We enjoyed the breakfast! The room is newly renovated with a big room. The breakfast may be the same everyday but it was good overall for me. The bread is freshly baked everyday! It is a perfect stay if you are visiting the exhibition but you must self-drive. Parking is also free and easily accessible from the airport and Paris Nord Exposition Villepinte. I did many online reading to find a suitable accomodation for my 1-week long visit for the exhibition, it is perfect for me! Highly recommended if you self-drive. Generally your hotel is understaffed which impacts on service and value, on three occasions of ordering food and what was advertised on the menu as a complete dish was not served on the plate, when I tried to discuss this with staff members they just giggled and said I don't understand. . . the steak was horrendous, on one evening having waited 40 minutes after I had finished my main I gave up on trying to order a desert, no staff member even looked at me. Being served dirty glasses, corked wine, asking for an ashtray and given a dirty one. I have bites all over my feet from bed bugs (I have never experienced this) The TV cannot show general channels as their is no signal. In all my years of travelling I have never experienced such a multitude of awful circumstances in one hotel. You are charging a premium rate this should be reflected in your service and amenities. I wont even go into the details of how difficult it was trying to pay for this hotel online/over the telephone as I am scheduled to stay with you again in a weeks time and I ma not looking forward to it. . . . Its just incredible. Enjoyed my stay and will come again. We were made very welcome. Our room was quiet and clean, the beds comfortable, everything we needed was there. Sadly I left some things in the wardrobe in Room 431 on 4 September and I am hoping that William at Reception will organize for them to be sent to me. I am waiting to hear how much I need to send to the hotel to pay the postage because I have been asked by William to give my card details and signature for an unspecified amount of money which I do not feel that I can do. I hope very much that this can be arranged. Apart from this problem I have been delighted with my stay which brought my daughter, granddaughter and myself to visit Paris. We enjoyed staying in Aulnay Sous Bois also because we experienced going into Paris by bus and train each day and so got to know the suburbs also. 16 € for a tiny breakfast? Very disappointing an unusual for a Novotel. We all enjoyed ourselves, the facilities and staff were brilliant!! When we received the hotel key we entered our hotelroom but we were really not happy. The room had holes in the floor it was really dirty and it smelled like sigarettes. The couch was really old and did not look clean. Just to be honest it was as a horrible room. Thankfully we went to the reception and showed you pictures of the room and you gave us the keys of an other room that was renovated. That one was really good. I am a regular customer in the AccorHotels and when I arrived at the hotel I was expecting the usual treatment but first I find out that my room did not have air conditioning and I called the reception and was told that it is the same in all the rooms and they asked to go to the reception for a fun. The same was said to me when I asked for an iron. So I had no choice but to go down and get it. Poor customer service!!! Good quality rooms, quiet hotel in a busy area. Enjoyed the decoration, the service and the amenities. The restaurant was a good addition. The service was very friendly and we enjoyed it in spite of a few hiccups. Enjoyed the lobby, pool side terrace and parking facilities.